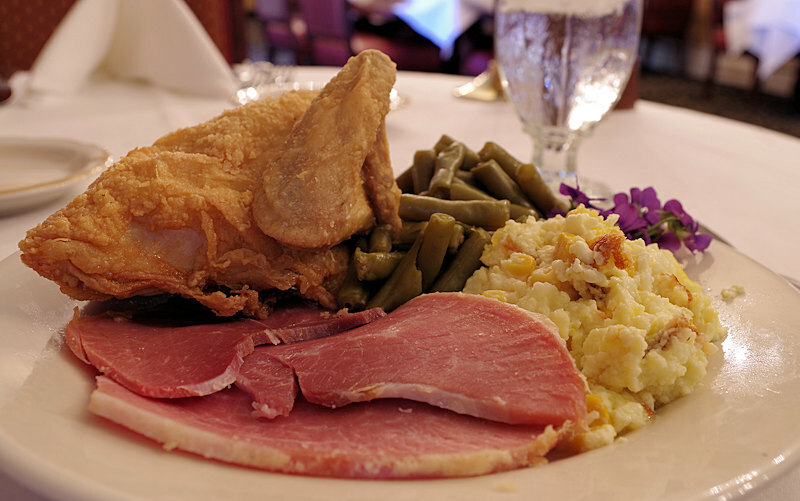 The Main Dining Room at Beaumont Inn features classic Kentucky cuisine and southern hospitality inside our historic 1845 building. Join us for dinner Thursday, Friday, and Saturday from 6:00 pm -7:30 pm (last seating). Reservations in the Main Dining Room are strongly advised prior to arrival. Call 1-800-352-3992 or 859-734-3381. Also see our lunch menu and Sunday Brunch Menu. Please note January through March, our winter dining hours are the following: Friday and Saturday night 6:00 pm – 7:30 pm.